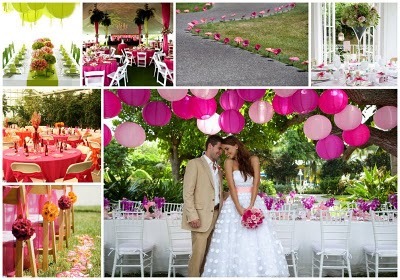 Posted on May 7, 2011 | Comments Off on Colorful Wedding Ideas!!! As the winter reluctantly gives way to spring and spring slowly blooms into summer, winter white weddings are giving way to much more colorful weddings. These fun in the sun weddings feature spontaneous pop’s of color in the brides bouquet, the wedding decor, the cake, and even the wedding parties attire. 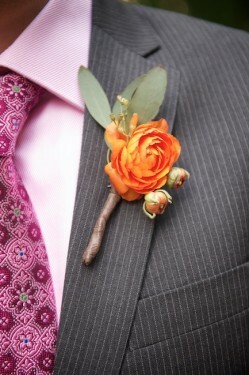 A few suggestions for successfully placing a perfect amount of color into your bridal parties attire is to replace the classic groom’s boutinnere with one that features more color or an unusual selction for a classic boutnnaire. 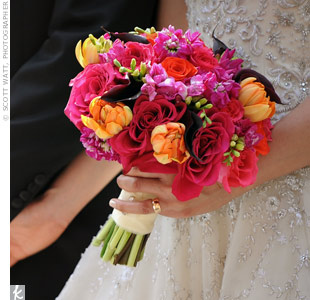 Another is to add some color and style to the usually unflattering bridesmaids dresses. 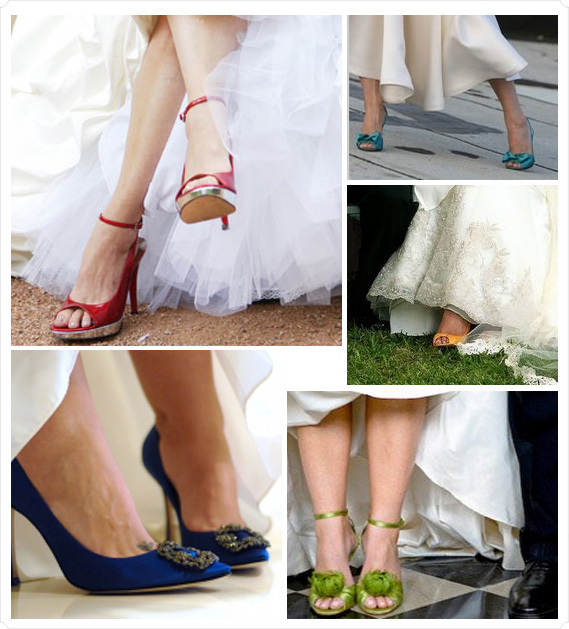 The bride can also join in on the fun by adding color to her footwear and bouquet. Another way to incorporate beautiful colors into your spring and summer wedding is to make sure that you decorate your wedding and reception venue with items that add to your overall color scheme as well as delight your guests with a wonderland of color palates. Topping your evening off with a beautiful cake is always important . So to assure that not only do your guests enjoy the decor adding a beautiful cake will make any wedding venue pop and become the center of attention (behind the bride of course). 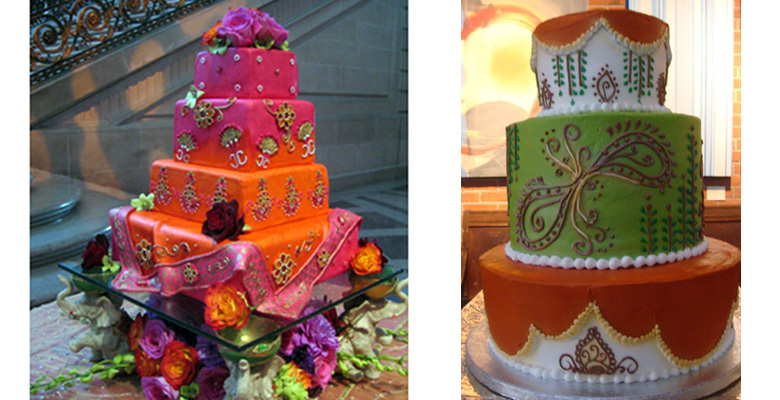 While most couples choose to add color to their event by choosing a classic white wedding cake decorated with edible flowers that are colorful and “springy” , some daring couples choose to take colorful in another direction and mix it with whimsical, this makes for a great conversation piece at the reception. After all things are in their proper place and are colored to perfection the bride and groom are free to set off into the sunlight ( or moonlight) in color and style. 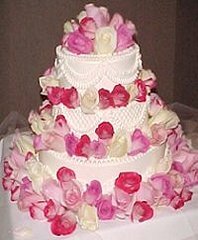 This entry was posted in Wedding Advice & Tips, Wedding Decor, Wedding Flowers, Wedding Planning, Wedding Style and tagged bridal, Layne Corban, Wedding Cakes, Wedding Details, Wedding Planning. Bookmark the permalink.